The tradition of military and amateur wind bands remained strong across Europe and North America. In the United States and Canada, bands increasingly found a home in colleges and schools as well, playing at sporting events and in concerts. Sousa’s band continued to tour and became a pioneer in making phonograph recordings. 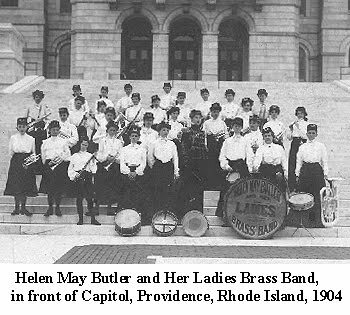 Among the many other professional bands was Helen May Butler’s Ladies Brass Band, one of several all-female ensembles formed in response to the exclusion of women from most bands. This was all that was mentioned, so I did a little research and came across a website that features American Music Collections. 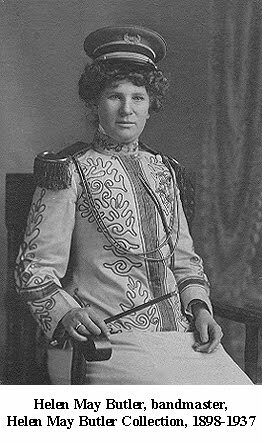 The AMC happens to have quite a bit of information on Helen May Butler, including newspaper clippings, photographs, programs, sheet music, hand noted music, posters, post cards, advertising fliers, letters, telegram, biographical article announcing candidacy for U.S. Senate seat in 1936, and “The Flood of 1937” section of the Cincinnati Post, February 13, 1937. 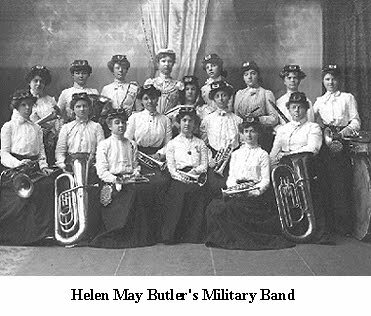 Helen May Butler was a bandmaster for a traveling all-women military band from 1898-1913. 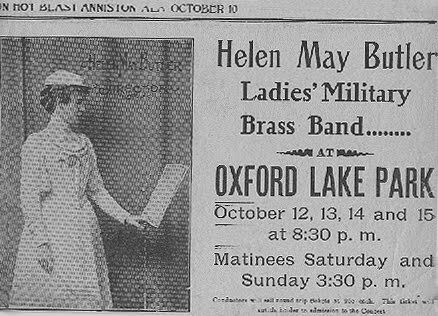 One of the band’s mottoes was “Music for the American people, by American composers, played by American girls.” Not only was Helen May Bulter a bandmaster, but she was also an accomplished violinist and cornet player. Another surprising fact is that she announced her candidacy for a U.S. Senate seat in 1936.